Thank you soooo much! You saved another life! I thank you forever for you kindness, and will always remember this! Happy hew year to you and your staff! Is it Defecating or Middening? Mieshelle Nagelschneider studied animal behavior at Oxford University, and The University of Edinburgh – The Royal School of Veterinary Studies. Her animal behavior studies at Harvard University has also enabled her to help cat owners effectively solve their cat’s defecation issues in over 30 countries. The clinic goes beyond the obvious strategies and facts during the defecation consultation. View 268 solved case study reviews and clinic testimonials. However, middening is rare in house cats and it’s likely your cat is not middening and defecating instead. We recommend you visit our defecation behavior page. Effective behavior plans begin with a clear understanding of how the cat’s brain functions, including learning and memory, and what their physiological and biological needs are. Behavior modification strategies applied once the defecation behavior has been analyzed and clearly understood. 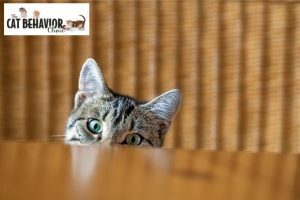 Strategies that take into consideration cat instincts and the learning process that may have contributed to forming a habit for the behavior is usually required to end the defecation behavior. Addressing possible social conflict and social learning in the cat’s environment to stop the behavior (external factors). Depending on the reason your cat is performing the defecation behavior, behavior strategies that involve sensitization and habituation may be applied. Associative learning can be an important part of your cat’s behavior plan depending on why the defecation behavior is occurring. Classical conditioning strategies can also be an important component to ending the behavior. Mieshelle’s experience and formal animal behavior studies ensures cats will receive high level and appropriate care for their cat’s defecation issues. 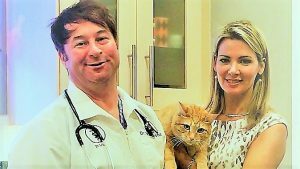 She has been conducting defecation consultations since 1999 and helped thousands of cat owners solve their feline defecation behavior issues. Read our current outstanding Clinic Success Rate. Considered the authority on the issue, Mieshelle conducts hundreds of defecation consultations each year since 1999 and lectures worldwide on this very “perplexing” behavior issue. She routinely assists veterinarians that can’t seem to get their client’s cats to poop in the box. Visit over 268 solved case study reviews and clinic testimonials including happy defecation clients since 1999. You won’t find much information on middening on the Internet, but sometimes a stool is not just a stool. Stools left around the walkways of the home or on your pillow might be a form of marking done by your cat to delineate territory. Middening is as different from its defecation counterpart, in both motive and effect, as spraying is from mere urination. Middening comes from a little-heard English word that (as we’re sure you know) derives from the Old Norse term for a dunghill or manure pile. If you type in middening into a search engine, it will, maddeningly, try to correct your spelling to maddening. “Was it maddening you were looking for?” Just say no. The fact that the search engine thinks you can’t spell, and won’t give you much information on middening in any event, is an indication of how rare middening is, at least indoors (it’s more often observed in cats outdoors or wildcat hybrids). But when it does happen, middening can be synonymous with maddening! Middening is a form of marking (technically, “non-spray marking”). More dominant or confident cats may midden to send territorial messages, while less confident or anxious cats may midden on a human’s things in order to mix cat and human scents into an anxiety-relieving cocktail. The latter is also called associative marking. Middening is not only a strong visual signal, visible from a distance (unlike spray-marking), but a very strong olfactory signal as well. Cats usually deposit their midden in very prominent locations so it’s not easily missed by other cats, a.k.a. the competition: in hallways or the frequently walked paths of household cats, near doorways leading outside or into certain rooms in the house, and on elevated locations like couches, on top of the dining room table, tables, beds, and the pillow on your bed. They often choose to midden on paths that lead to important resources or in locations that are important pieces of real estate (and about which a cat may feel competitive with other cats). A rare issue for Indoor-only Cats: Many cats will simply defecate in these listed locations as well, but it’s more common for them to defecate in less prominent locations like the corner of a dining room. Typically middening is done away from the center of the home, and away from the nesting area’s food and cat beds. However, a dominant cat who wants to deter other cats may even midden territorially in front of litter boxes or food bowls. In multi-cat households, one cat may feel an impulse to cover the odor of a housemate’s waste with his own. A sort of cherry on top, if you will. Cats who are insecure about their territory might even step outside the group litter box and leave stool right next to it. The cat’s motivation – marking – makes this middening rather than mere defecation. Signs of mere defecation also include your cat trying to cover up the stool with nearby laundry, or claw marks in the carpet from their attempts to cover their stool. Cats will not cover a stool if they’re leaving it for marking purposes. They want it to be seen! If you’ve got a rare middening problem, you will need a behavior plan to address the problem. And no surprise – cat behavior is highly complex, and solving it requires both expertise and specific, specialized information about your cat. That means a conversation with an expert. The information and help you receive from our cat behaviorist or veterinarian, is up to date in the latest studies of animal psychology and more specialized and involved help than what you’ve read on the internet. Are you ready to give your cat and yourself the ultimate gift of happiness and mutual regard? Have you run out of ideas, or hope, and you’re at your wit’s end? Do you think you’ve tried everything? We’re pretty sure you haven’t.